Your employees are one of your financial firm’s greatest assets. But poorly written biographies make it difficult for your audience to understand the breadth and depth of your firm’s expertise. When you streamline and standardize your financial firm’s bios, your bios’ readers will benefit. Happy readers mean happier clients and prospects. 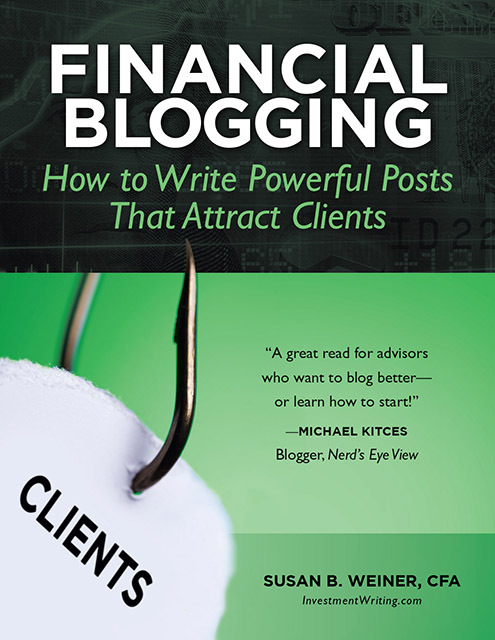 I’m writing this article for financial marketers, whether you’re a member of a marketing department or a member of a small investment, wealth management, or financial planning firm who wears a marketing hat in addition to offering your financial expertise. These are my best suggestions for a process you can follow. You can edit better when you know the purpose of your work. At one extreme, are you merely proofreading for big errors so you’re not embarrassed by someone’s title being spelled as “manger” instead of “manager” or are you looking to change the tone and content of your bios? Here’s a list of some other goals you may pursue. You can pick from this list to give better guidance to your editor when you hire someone to work on bios. Make your bios more focused on clients by describing how clients benefit from the employee’s work, instead of emphasizing the employee’s skills and credentials. This kind of bio draws in clients and prospects because it’s more than a dry recitation of credentials. However, credentials are an important part of establishing credibility. Add more personality. Bios are changing as “authenticity,” or trying to show that there’s a real person behind the marketing, becomes more important. You’ll find more folksy or quirky language and more mention of the employees’ passions and interests. This is particularly helpful if the employees have good stories about why they chose a career in financial services. However, it can become labored and phony if the stories are weak. Make your biographical format more consistent. If your bios have been written by different people over time, they may cover different information and use different writing styles. This inconsistency makes it harder for readers to find the information they need or to compare your employees’ roles and backgrounds. For example, some bios may start with how the employees help clients vs. others that emphasize the employees’ credentials vs. others that start with the employees’ prior experience. Others may be written in a flowery style, while some adopt a lean style. Some may consist of a few bullet points vs. others that use long paragraphs. Another form of consistency is to balance personal branding vs. the firm’s marketing goal, as writer and professional service marketer Meg Charendoff reminded me when I discussed this post with her. You want to support and promote your financial professionals, but you also need consistent messaging about people in specific roles and groups. Fix bad writing. Mistakes sneak into bios. Eliminate typos, bad grammar, and other weaknesses with thorough editing. Depending on your goals, you may take a more or less radical approach to editing your financial firm’s bios. For example, if you pick goal #1, you’ll need to create new templates for your bios. If goal #5 is your top priority, you’ll edit with a lighter hand. The first step for you—or your writer, if you delegate the work of editing your financial firm’s bios—is to review several bios. What are their strengths and weaknesses? What are common components that repeat so you’ll want to standardize how you treat them? If you outsource this step to a writer, ask the writer for his or her assessment of what needs to be changed. If you plan to make major changes to your financial firm’s bios, you’ll benefit from creating templates for each distinct type of position in your firm. 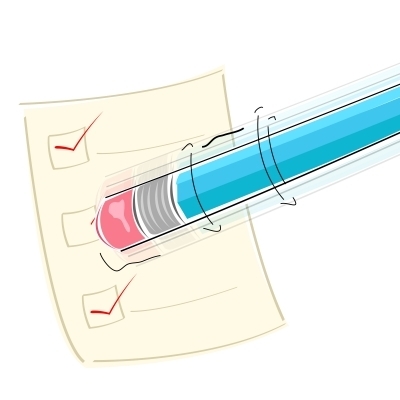 Your template will be written like a model bio, specifying what’s included and in what detail. Although there should be some consistency across all bios, there will be differences. For example, you may go into details about previous positions held by senior executives. Such experience is less relevant or available for entry-level employees. No matter what approach you take to editing your firm’s bios, you need a style sheet. If your firm already has a style sheet for its communications, you’re ahead of the game. Share your style sheet with your writer, if you outsource. Bullet points vs. narrative—when will you use bullet points instead of narrative to break up the flow of information in the bios? For example, when I edited bios that appeared as PowerPoint pages in a client’s pitch books, I converted their educational experience from narrative to bullet points that started with the name of the college or university. This trimmed the word count and made it easy for readers to see if they recognized the name of the employee’s alma mater. Commas—will you use the serial comma or not? I’m personally a fan of the serial comma. However, the main thing is to pick a style and stick with it. Details on employees—there’s a long list of questions you’ll need to answer to make your bios consistent in terms of details. You may not identify all of the issues until you’ve made one pass at editing all of the bios. Where do you draw the line between considering something relevant or not? Will you include any of the items listed below? Remember, there’s a limit to how much your clients, prospects, and referral sources are willing to read. Previous employment—how much detail will you go into? Will it vary according to seniority or relevance to the current job? Outside affiliations, such as board memberships or volunteer work—must they be current to be included? Which organizations are worthy of mention, especially when the employee is not in a leadership role? On the other hand, employees’ outside affiliations give insights into who they are as people. Awards—must they be relevant to the job or to your local community to be included? Publications—what makes the cut for inclusion? Does it have to be a national publication or a publication in your field? Or can a personal blog qualify? Social media profiles—will you link to your employees’ social media profiles? Connecting with clients and prospects, especially on LinkedIn, could pay off. Speeches—speeches can help to establish an employee’s authority. Job descriptions—is it possible to standardize descriptions by title? If so, it will be clear to your readers when two employees perform comparable jobs. Names—will you include nicknames? What about middle initials, which are often important in distinguishing between people who share common names? Non-degree education—certificate programs abound in financial services so you need policies on whether to include them and on how to write about them. I’ve found it particularly hard to figure out how to refer to non-degree programs that no longer exist. Also, employees may not be consistent in what they call the programs in their resumes or bios. Professional designations—which professional designations will you highlight by having them appear after the employee’s name? Which designations will you omit as irrelevant? Will you include designations or licenses that are no longer current or that haven’t been formally awarded? In some cases, the professional organization that awards the designation may have rules against its use if the credential hasn’t been formally awarded. Spelling—how will you spell words that have variants? For example, will you write “financial modeling” or “financial modelling”? Will you show bachelor’s degrees as “BA,” “B.A.,” or “bachelor’s degree”? States—will you spell out the names of states, such as Massachusetts, in full? Or, will you use U.S. post office abbreviations (MA) or traditional abbreviations (Mass.)? Word count limits—you can’t write a book about each employee. Plus, you may have word count limits imposed by the layout of your website, pitch book, or other place where you showcase your employees’ expertise. Years of experience—listing years of experience, such as “five years with XYZ Financial” or “10 years of investment management experience,” means you’ll need to update bios annually. That can be a royal pain. At best, it’s annual busywork. Consider referring to “experience since 2010” or whatever the year might be so your bios will always be current. Another issue: Will you omit years of experience if the number is too low or will you abbreviate to “more than 20 years of experience” if you don’t want your employees to seem too old? You or your writer should edit a few bios and run them by your decision makers. This will allow you to see if you’re on the right track. It’s easier to adjust early in the process than to rewrite many bios later. Before you begin editing your financial firm’s bios you should figure out who needs to approve their approach and content. If you’re lucky, you won’t have a huge committee with conflicting opinions. The big picture questions about your approach to bios should be decided by a select few. Use the information you learned in Step 4 to refine your templates or style guidelines. Use your updated templates or style guidelines to finish editing your financial firm’s bios. Then you can start the approval process. At a minimum, you should run each employee’s bio by her or him to check for accuracy, before getting a compliance review of the bios. Give employees firm deadlines to avoid procrastinators. Bios should be reviewed annually for accuracy and to reflect changes to your templates. To keep bios accurate and consistent, it’s best to have one official source where users retrieve them. You’ll also benefit from a well-defined process for making changes when the bio changes between annual reviews. Give employees the name of someone to contact with updates. Give the contact person a process to follow for the review, approval, and implementation of changes. Otherwise, you’ll end up with different versions in different places. For example, an individual’s bio in a pitch book may not be consistent with that person’s bio on the website. Later, in your annual review, you may unwittingly start with a bio that doesn’t reflect the latest information. It may be necessary to tailor bios for specific purposes, such as a short bio accompanying an article. However, those specialized bios should be drawn from the official bio. If you have multiple “official” bios, you run the risk that someone will use a bio that doesn’t conform with your templates and style guidelines.